Accurate and cost effective Excavator Scales for any model excavator. 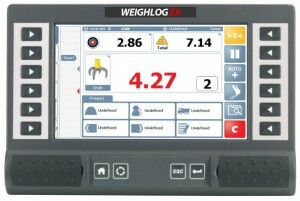 With the ever increasing focus on productivity, Weighlog Ex has been designed to operate within the fastest loading environments maximizing tons per hour performance. Loading correctly first time takes out return trips to the stockpile reducing vehicle movement, fuel usage and machine wear.